The Hungarian architects, T2.a Architects, use Rhino and Grasshopper to design a configurable apartment complex. 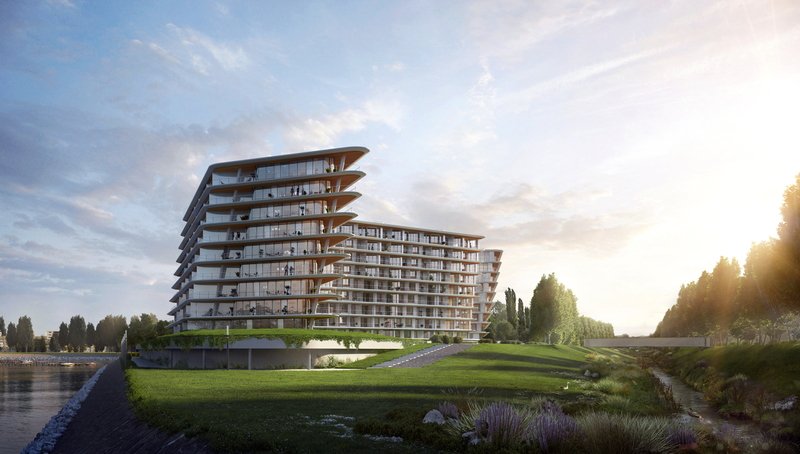 DANUBIO, located on FOKA Bay on the Danube, is a new residential development in Budapest. Its uniqueness is its customizable floor plans. Before purchasing, residents can define the design by how much floor space they want, their outdoor-indoor ratio, and the orientation of their home. Using Grasshopper enabled the architects to develop a script for the algorithm. The design is adjusted during the design process when a new resident enters the community.